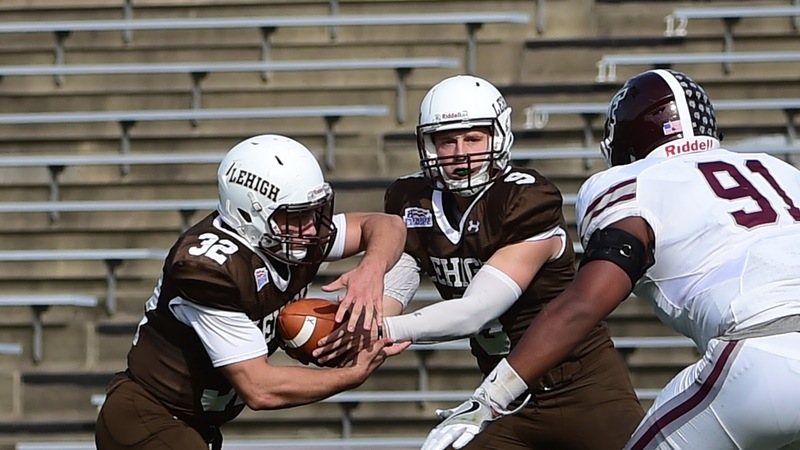 When people think Lehigh football, they rightfully think of a powerful air attack. After all, the Mountain Hawks boast the top two receivers in all of FCS in regards to receiving yards, junior WR Troy Pelletier and junior WR Gatlin Casey. What they don’t necessarily think of is a grinding rushing attack, something more out of a triple-option team or perhaps a run-heavy Wing-T team. Yet in Lehigh’s 58-37 statement win over Fordham, the same Ram team with potential future NFL player RB Chase Edmonds, the main headline wasn’t the aerial show, though there were a few highlight-reel plays there, too. Instead, the headline became Lehigh’s six rushing touchdowns, three from senior QB Nick Shafnisky and three more from sophomore RB Dominick Bragalone, and 349 yards on the ground. I looked through the record books last night, and combed through recaps of a lot of football games, and the last time I found that Lehigh scored six rushing touchdowns in a game was in 1971, when FB John “Jack” Rizzo and RB Don Diorio combined for six rushing TDs in a 48-19 win over Lafayette. I’ve been doing this long enough to know that every Lehigh football team is different. The dynamics running through every team is different; what motivates one team has no impact on the team of the following year. Like an Adele Spotify channel, you can’t help but be reminded of 2011 when you go to Murray Goodman Stadium or Fitton Field or wherever they’re playing. 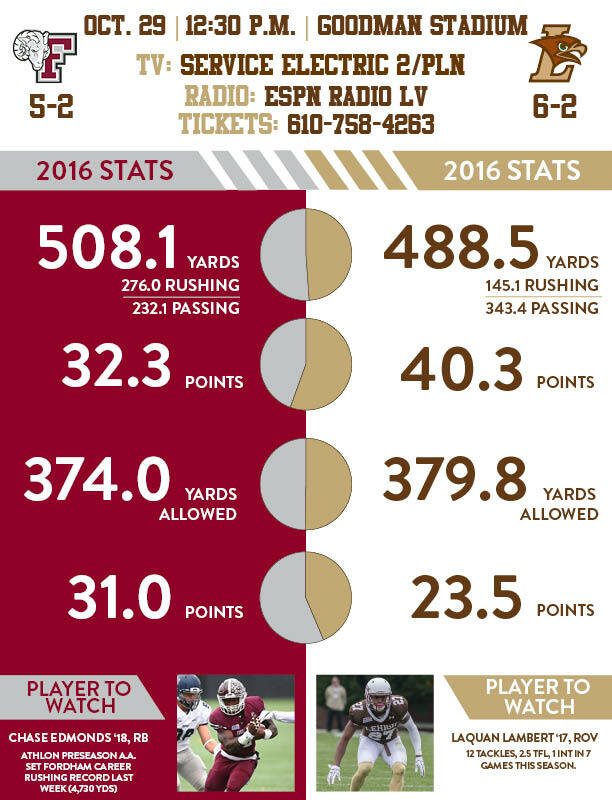 The popular online game between fans on the Lehigh football message board is: Who was better, 2011, or 2016? The answer is still, beyond a shadow of a doubt, 2011 – for now – but the only reason for that is that 2016 is still in the midst of writing their story. Yet it can hardly be helped that fans look at the potential of this 2016 team and think, with apologies to Adele, that they are rolling in the same sort of wins that they were in 2011.